Often we pray for God to change our circumstances. I have done it and you have too. Meanwhile, God might have orchestrated your circumstances so he can change you. help me to see how I need to change in my present circumstances”. best, your circumstances will often be undesirable and difficult. conforming our ways to His ways our current circumstances will matter less and less and He will matter more and more. 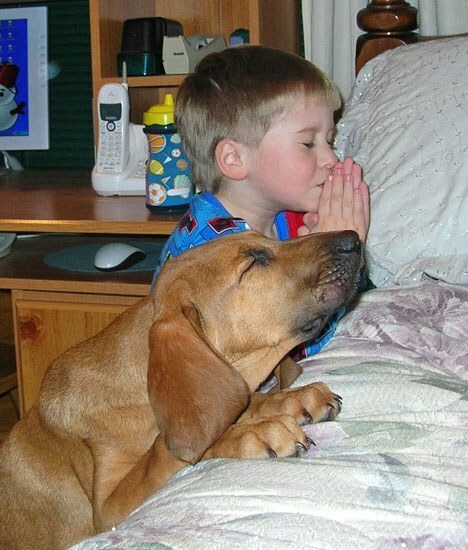 The dustiest place in the home of most Christians is the prayer closet. It’s that special place of solitude where you can get away from the phone, computer, TV, and other distractions to talk to God. I’ll be first to raise my hand and say that my prayer life is wanting. What about you? Of all the benefits the Lord gives to those who trust him is the invitation and encouragement to pray. So why don’t we do it more? I think it’s symptomatic of our lack of inherent good and shows our failure to trust God as we should. So far as I know, prayer (asking God) is the primary way we creatures are to get what we need from the Creator. There are some very big promises given to those who pray! The best one is that God will answer! I have often said “Only those who pray get their prayers answered”, and it’s very true. If you develop the habit of going to God to ask for what you need, and even want, you are very likely to see results. Of course we don’t always get what we request in prayer for a variety of reasons, the most common is that we ask for the wrong things for the wrong motives. And, one thing is certain, if you don’t ask you will not receive an answer. I believe that regular answers to specific prayers should be the usual experience of Christians, and not unusual. I am keenly aware of my spiritual limitations and the distance between where I am as a follower of Jesus and where I ought to be. I am far from being the best example. But you know what? God often answers my humble prayers. I could write a book about the many, many specific answers to specific prayers in my long life. I also had the privilege to observe my mother’s prayer life over many, many years. Her prayers were child like in that they were simply a child asking her father for what she needed. My father died in the late spring of 2003. After dad’s death my blind mother lived alone for several years. Her remarkable prayer life seemed to become even more remarkable after dad was gone. When mamma needed a gallon of milk on a snowy night it never occurred to her that she should call a neighbor or one of her nephews or nieces, not mamma, she simply said to God “Lord, I need a gallon of milk for the morning”. Perhaps 10 minutes later there was a knock on the back door. When mamma opened the door a neighbor (at about 10:00 p.m. in a snow storm) said to her, “I’m going to the store and thought I’d see if you needed a gallon of milk or anything”. Coincidence? No, there were far too many such answers to her prayers. It always seemed to me that the only reason she shared so many of those stories was that it was her opportunity to brag on her God! The failure to pray is a first indication of a lack of faith. When you read the Bible it defies logic that a child of God would need something and not ask God for it. By the way, if you study the prayers of the Bible and all of the teaching about prayer in the Bible you will find that prayer is simply asking. If there is no asking there is no prayer. Many books and seminars, and even sermon series on prayer, often are not much more that a bunch of reasons why you should not expect clear answer to your prayers. Meditation on God and his word are good but not prayer. Thanksgiving often goes along with prayer but is not itself prayer. Confessing of sins is good and we ought to do it but it isn’t prayer. Will you pray? As my friend Dr. Keith Roberts titled his book, “God Waits for you to Pray“, and He does. There are many disciplines associated with Christian growth and moving toward maturity in Christ but in my opinion, most of them are futile exercises if you are not regularly praying. God’s isn’t impressed with King James English. Just use your normal manner of speaking and vocabulary and simply ask God for what you need and want. Regular and focused prayer will resolve many other issues such as personal sin, broken relationships, and allowing Jesus to be solely Lord of your life. Pray the moment you think of something you should bring before God. Often when someone approaches me about praying for something I’ll do it right on the spot. I’ll either silently pray or more likely say, “Let’s do that now so I wont forget” and I’ll begin to pray. There is nothing that expresses your utter dependence on God as well as praying. God has everything you need, he loves you, so ask! I admit, I don’t do this but keeping a prayer journal could be very helpful. Logging prayers and then seeing how God has answered is a faith building exercise. Glorify God when he grants your request! Tell someone about his faithfulness! Don’t pray to be heard by others. Be very careful, especially in public prayers, to be brief, to be specific and only pray to God. He doesn’t need to be taught a Bible lesson or preached to. He just needs to hear you ask for what you need. Yesterday I joined some great men to pray about the impending surgery of one of our long time leaders as he faces the 3rd surgery in several weeks. I am confident he will be fine. We also prayed for another leader facing surgery tomorrow a.m., his 3rd in a year. He will be fine too I believe. And, I and a friend stood by the bedside of an elderly sister who was hardly clinging to life, her body ravaged by cancer, and we prayed for comfort, for peace, that she would soon see her Lord. Not many weeks ago one of our dear brothers asked to be anointed with oil and prayed for. Our elders honored his request. He is now near death. It is increasingly obvious to me that God’s intention is not to heal everyone who asks or has someone asking on their behalf. How do we know what to pray for the sick? Because I don’t know any better option I follow these guidelines. I ask for healing. God invites is to ask for anything we desire. He gives specific instructions regarding prayer for the sick. So I obey and simply ask. I trust God the very best I can. I often find myself in harmony with the Bible character who asked “Lord I believe, help my unbelief..”. That is my place often. With my limited faith I cling to God’s promises and expect Him to act. I depend heavily on God’s promises. He has promised that He is making every event in our lives work for our good, even the bad stuff. I must believe that and cling to it tight-fisted in order to grapple with seeing a friend, a good God trusting man, die. I pray for God’s will to be done. Some call this a crutch for unbelief. Well, I’ve already confessed to my unbelief, but since Jesus taught the disciples to pray “Thy will be done…” why should I do less? Jesus himself prayed “Never-the-less thy will be done” as he agonized in prayer before his crucifixion. It’s always right to want God’s will done. I want ALL my friends healed. But God’s will always trumps my will. When we come to God with humility, simply asking for what we desire as a child asks his father, and trusting our Father to do what’s best, what will please him, I believe we are on safe ground. I know God heals in answer to prayer. My father was instantly healed of lung cancer. Once when I was a young man a preachers wife asked me to pray that God would heal her arthritic hands and He did. And in many, many cases when I joined others to pray for someone’s healing God’s sweet answer was “Yes”. I prayed for many, many years for my dear mother’s blindness to be healed and that same trustworthy, promise keeping, loving heavenly Father, said “No”. I believe I was right to ask and I think it was OK to question God many times with “Why?”. Finally I discovered that in that particular case God’s “No” was absolutely best. Mom touched many, many lives and there will be lots of folks in heaven because of her sweet disposition and witness to Christ and his goodness to save. Just today I received a report that yet another brother has the bad news that he has cancer. So, I will pray that God will heal him. And I’ll trust God the best I can and then I’ll see what God will do. Whatever the outcome, God is good, and loving, and just, and does what is best for His own. That I know for sure. 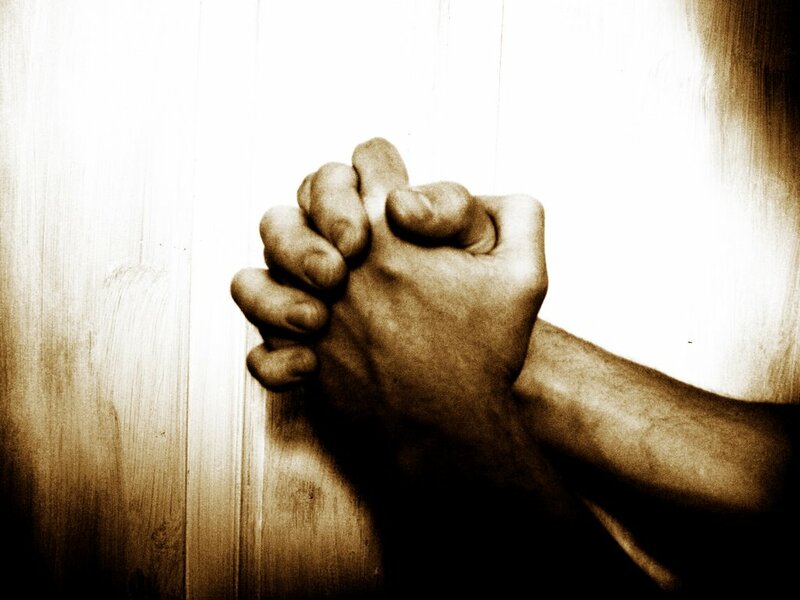 It is usual and normative for Christian believers to pray. It is also usual and normative for those same people to have answers to their requests. Reduced to its most elementary definition prayer is simply asking. Prayer is a human asking God for something. All of the teaching about prayer, and all of the prayers in the Bible verify this foundational truth. Ask, Seek, Knock, a very simple way to remember just what prayer is. He then went on to tell what the results would be for those who do this simple thing. Ask! Can you do that? Sure you can. And, the sure promise from Jesus is “it will be given to you…” Do you need something only God can give? If the answer is “Yes” then Ask! “Everyone who Asks receives…” The reverse is true also. We don’t have what we need because we don’t ask God for it. (James 4:2) And, we sometimes ask motivated by the wrong motives. (James 4:3) If what you ask for will honor God and bless your life, boldly Ask! Seek! Seek implies that are to be diligent in our praying. To seek is to go for something, to explore every avenue, to be proactive about what we need. The Bible in Hebrews 11 (the faith chapter) gives more light on seeking. “whoever would draw near to God must believe that he exists and that he rewards those who seek him.” (Hebrews 11:6b) Don’t be lazy in prayer, put forth some effort and go to God with passion for what you want. Knock! Prayer is knocking on God’s door! This another way of teaching us to pray. If I go over to my neighbor’s house to borrow a cup of meal I can’t just go and stand be the door, I must knock! And, if he doesn’t answer at first I must keep knocking. The difference is, God is always at home. If you knock God will open the door. Keep knocking until you have what you need. The idea presented here can be illustrated by this example. Have you ever been inclined to give a child something, partially because they just kept asking over and over and over? I have and I think you have. We are to ask and keep on asking, we are to seek and keep on seeking, and we are to knock and keep on knocking. If we do, God will keep on answering, we will keep on finding, and the door will keep opening. You have tried it your way, used your reasoning and resources and remedies? Why not just make a request, and keep making your requests? A man much more wise than I am once said “The weakness of a Christian will usually be a prayer weakness, and the weakness of a church will also usually be a prayer weakness as well”.